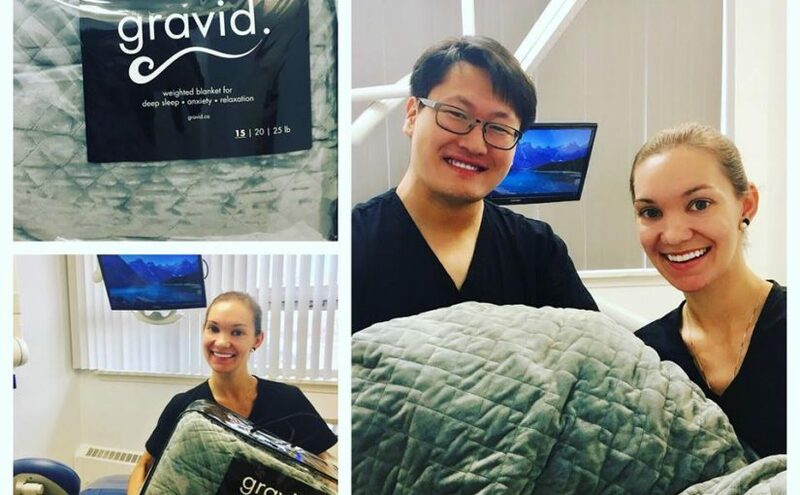 We offer dental visits complete with therapeutic weighted blankets that support those suffering from anxiety, ADHD, and racing thoughts. Our cozy blankets are from Gravid Weighted Blanket and Sleepify, and come in 20 lb, 15 lb, and 7 lb weights – making them suitable for both adults and kids! We change the blanket covers for every patient so they are fresh and new each time. Want to experience “ahhhhh! !” dentistry? Call us at 780-474-2456 to book your appointment today.